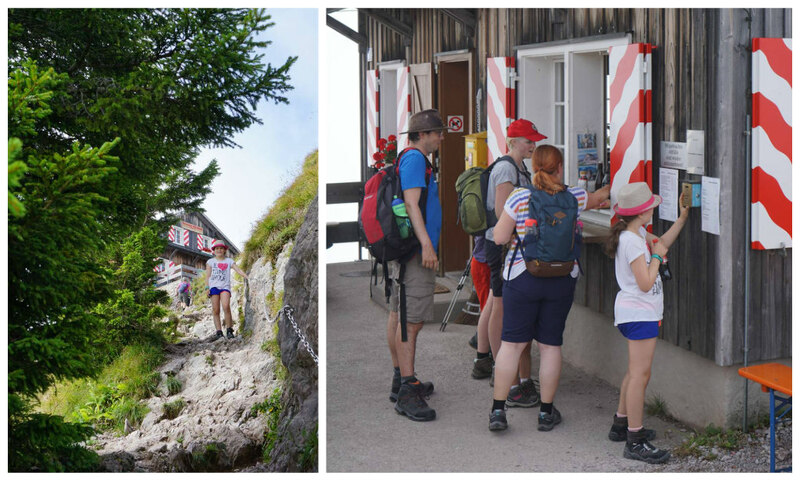 After six nights under canvas, we were looking forward to our long weekend in Zurich – but not just because of the prospect of three nights in a proper bed in a building with walls and doors! 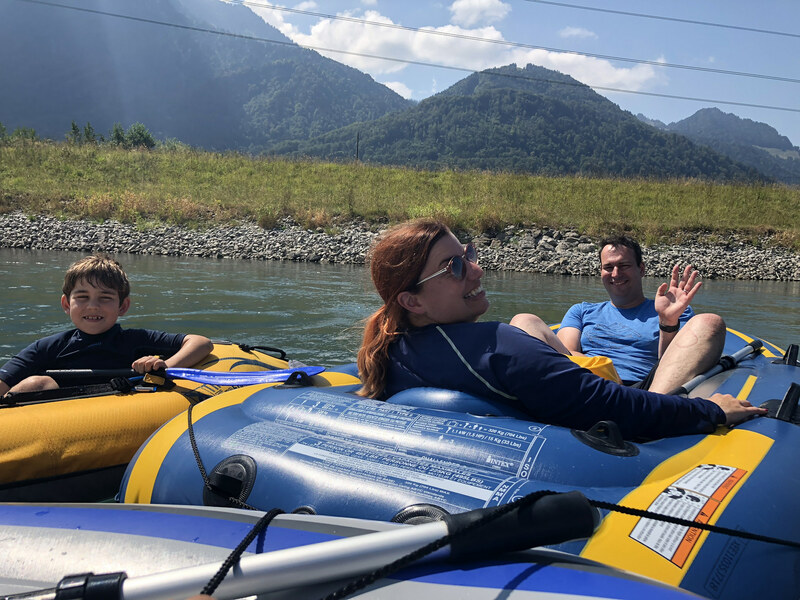 We were excited to visit our good friends, Catherine and Charlie and their children Phoebe and Henry, who’ve made their home just outside the city on Lake Zurich. 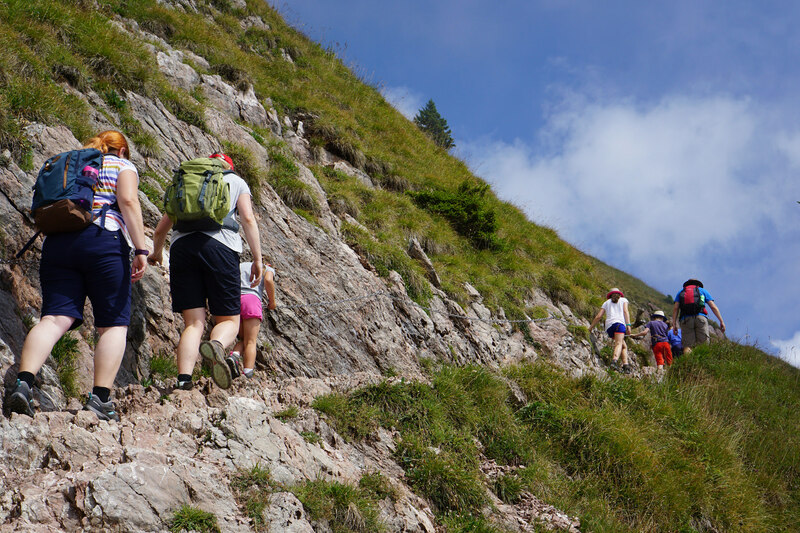 It’d been two years since our last visit when the weather hadn’t been good enough to get in any mountain walks – so we were delighted to find blue skies. 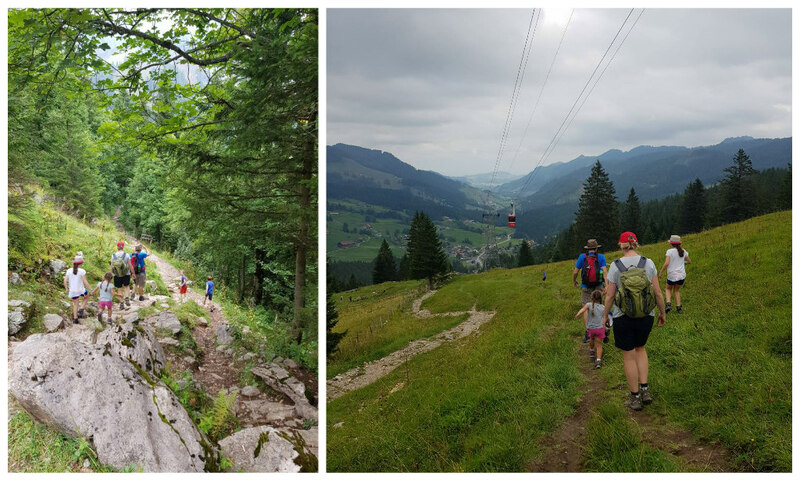 Charlie had planned an impressive hike for our first day in Switzerland – the Grosser Mythen. It’s an imposing pyramid. 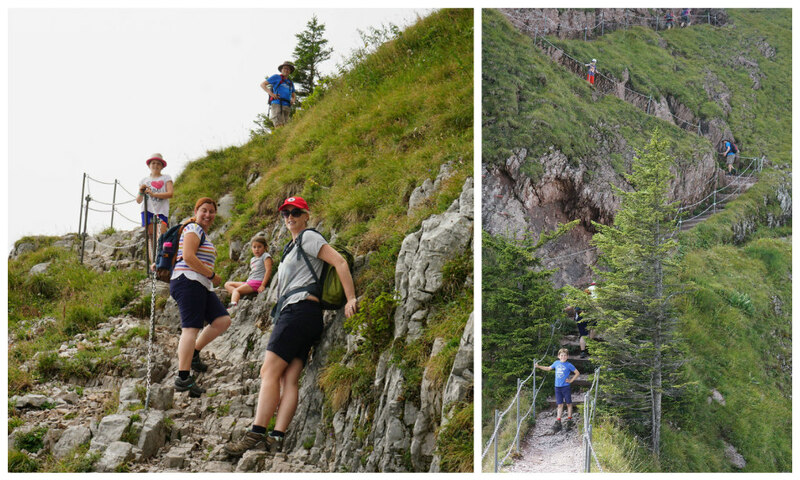 I must admit I was a bit incredulous that there was really a family friendly route to the top! 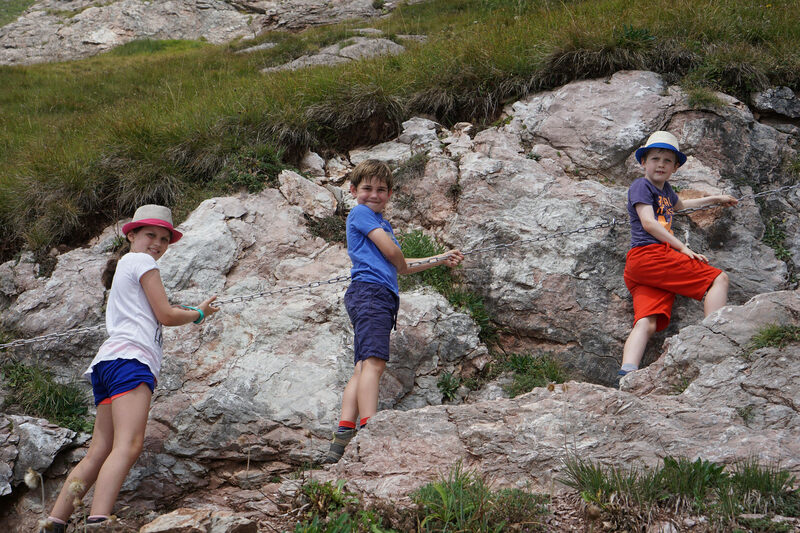 But Phoebe and Henry promised me they’d been up and back! So we piled into the little gondola and travelled up to the trailhead! 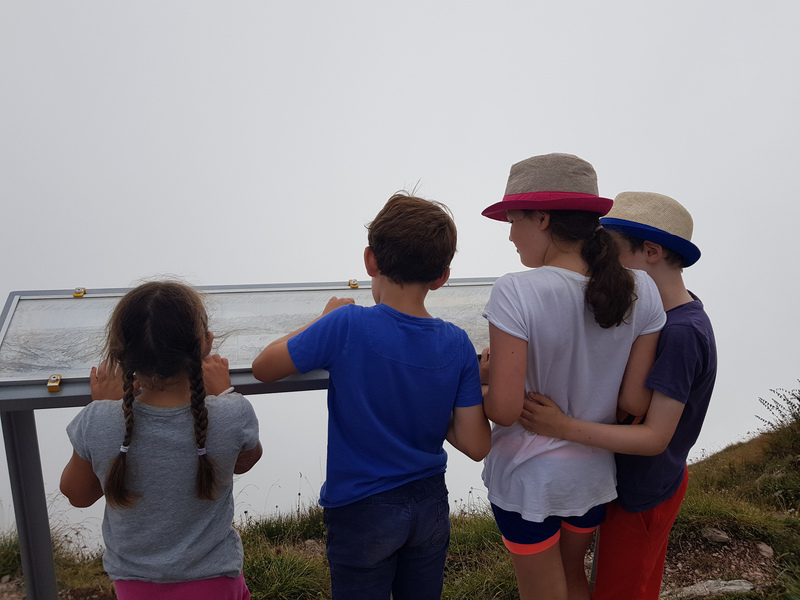 The children carefully studied the map of the views you can see on a clear day – they didn’t seem to mind that they were standing in the clouds! 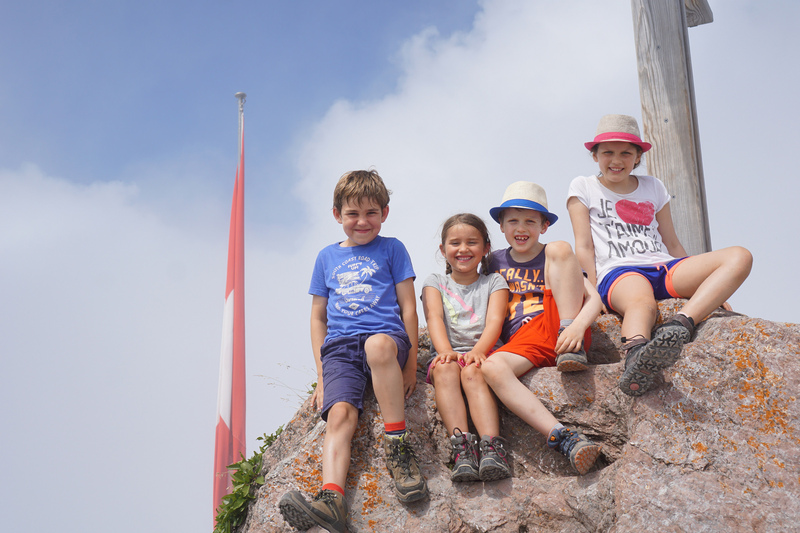 Here they are at the summit – I love this gang! Wish they could be together more often. 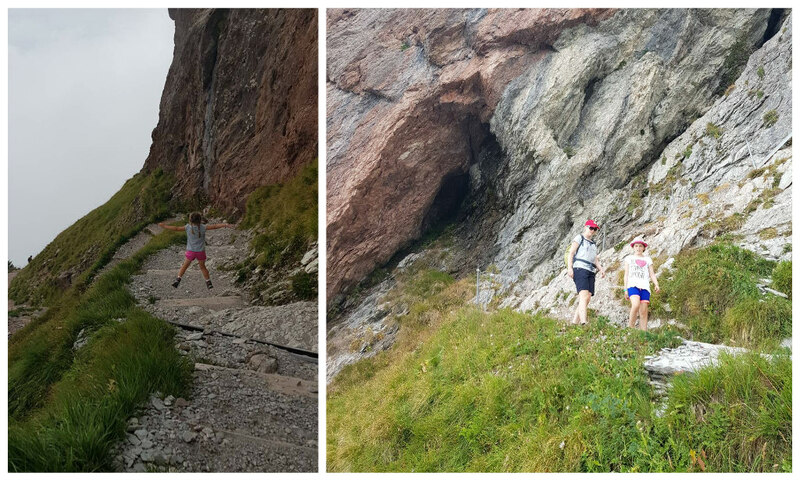 After a summit picnic, we started the journey down. 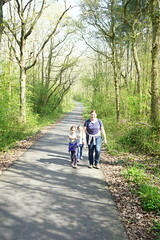 It was tough on the knees, but much faster! Check out Sophie jumping down the path here. No fear! Instead of taking the gondola back down, we kept walking all the way to the car park. 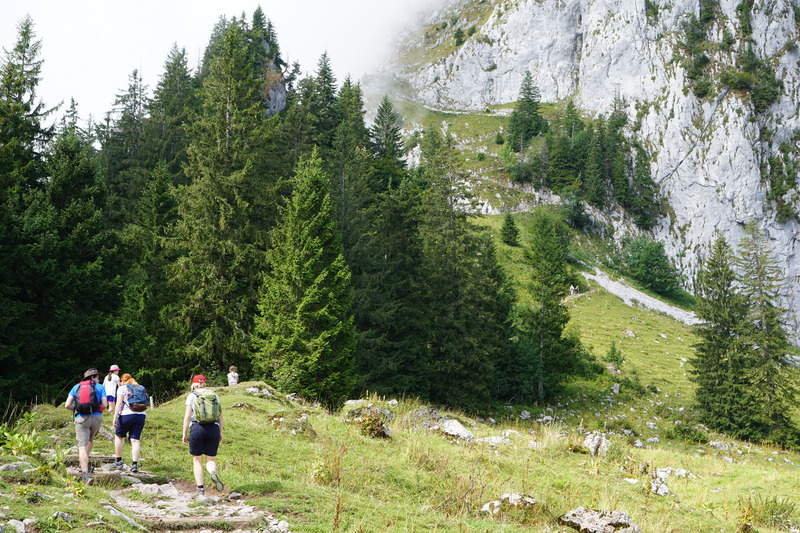 I loved walking through the forest to the sound of cowbells. 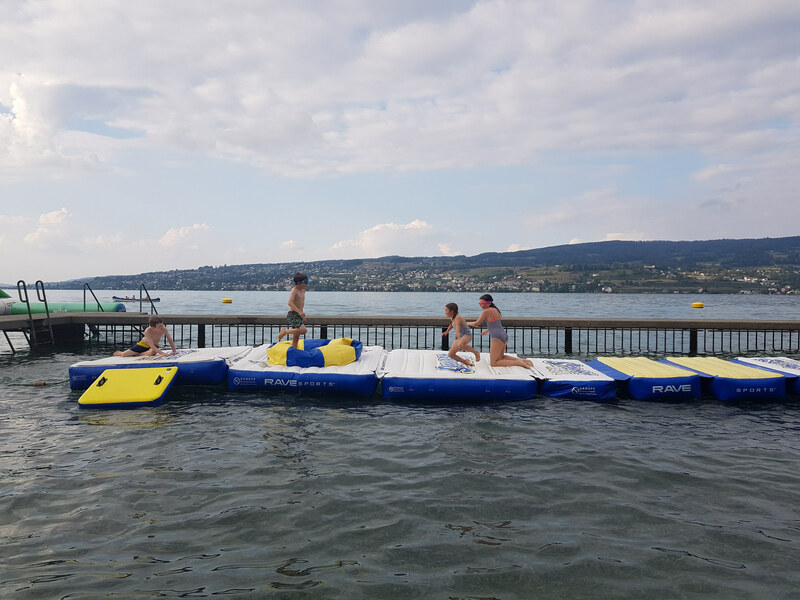 Later that day, back in Horgen on Lake Zurich, we visited our friends’ local badi – one of the many outdoor pools along the lake. 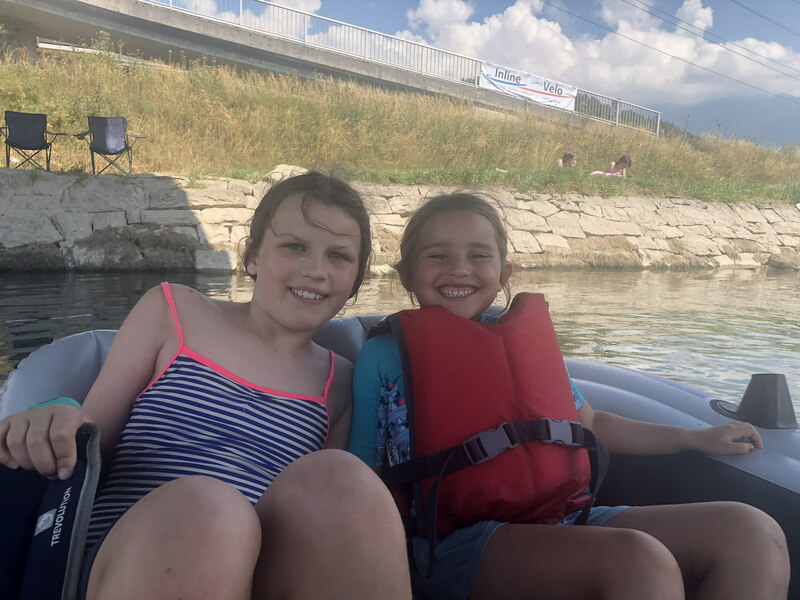 Alex and Sophie absolutely adore the badi – their visits have always been the highlight of their previous visits to Zurich. 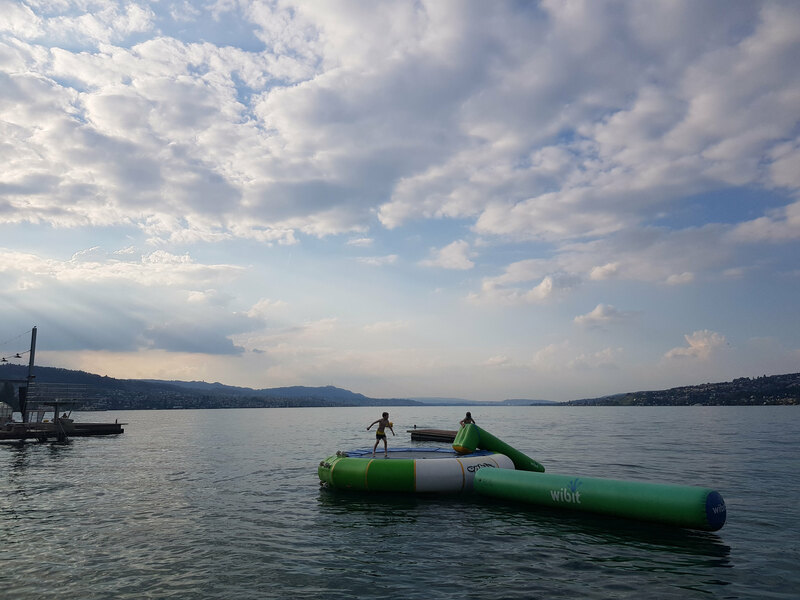 And this year was no different, with the badi having added an inflatable runway in the lake. They screamed with laughter as they attempted to run along it without sliding off into the water, almost always failing with a big splash. 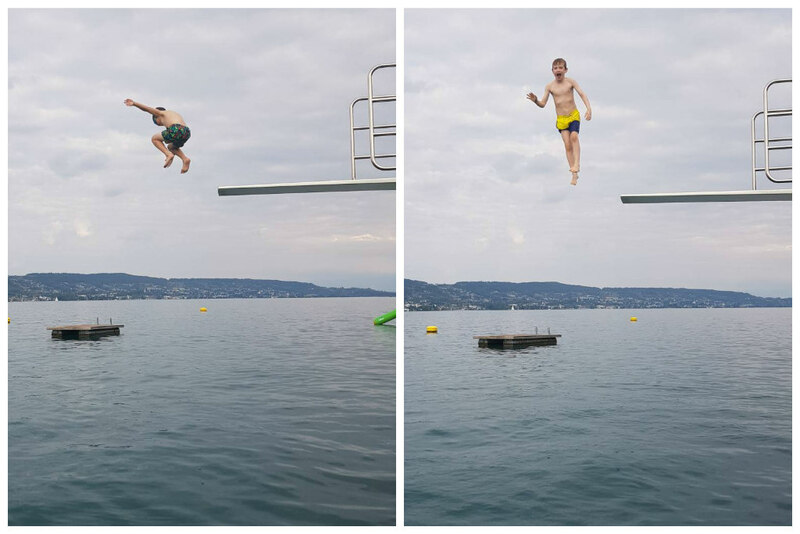 Alex and Henry braved the diving board, trying different poses as they jumped. Best of all was the trampoline floating out in the lake. You have to swim out to it, and no armbands etc are allowed, so Sophie had been practising her swimming in anticipation of the visit. She was so proud to swim out to it by herself for the first time having watched Alex do it two years ago! What a spot for a bounce! It is such a gorgeous place – I can see why the way of life on the lake is so appealing. 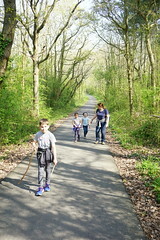 Imagine being able to stop here for the evening on the school run! The next day we were back on the water, but this time powering our own inflatables down the Linth Canal. 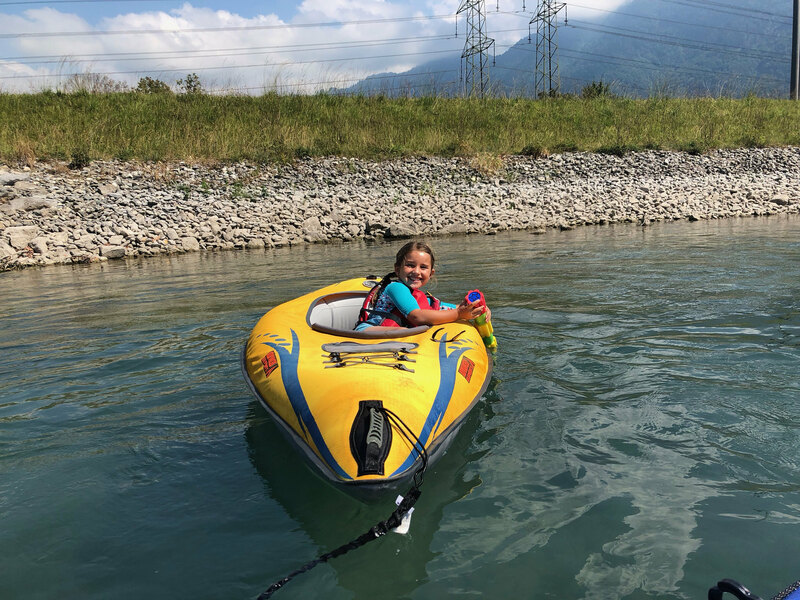 Charlie has an impressive range of dinghies, inflatable kayaks and rings, so we blew them all up and let the current take us down the canal. And Alex had his very first go at paddling his own kayak. 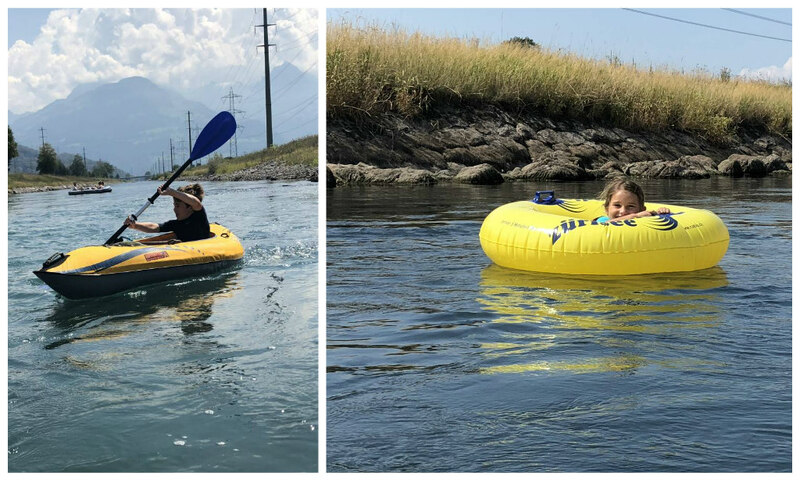 Sophie particularly enjoyed floating down the channel in a rubber ring! When they were tired paddling and swimming, the children lazed around in the dinghies as we paddled them. We were out on the water for hours, ending the day tired and a bit sun burnt, but very proud of our progress! 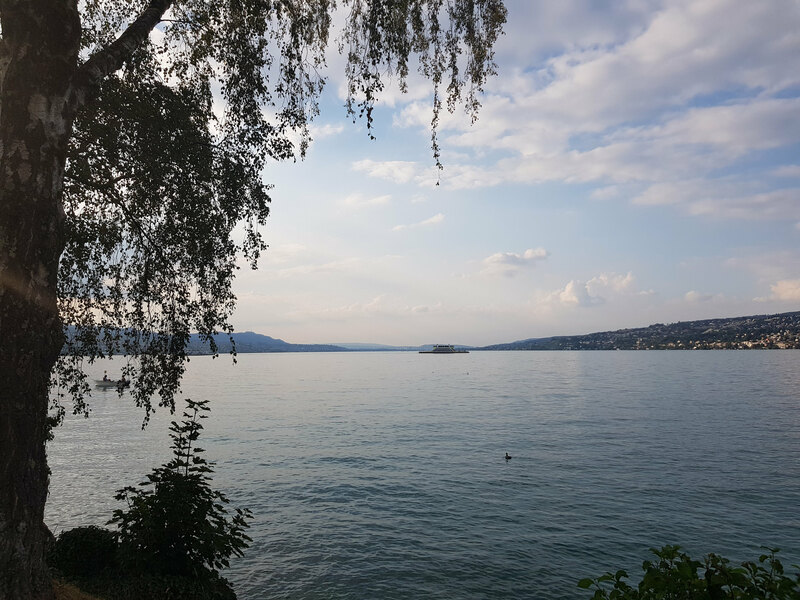 Our time in Zurich flew by – but, as always, we loved every minute. 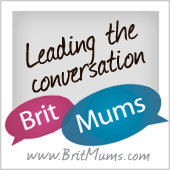 It was such a pleasure to see the kids reunited, and we squeezed in a year’s worth of catching up with our friends into the evenings! We will most definitely be back in 2019 for more. All too soon, it was time to continue the roadtrip. 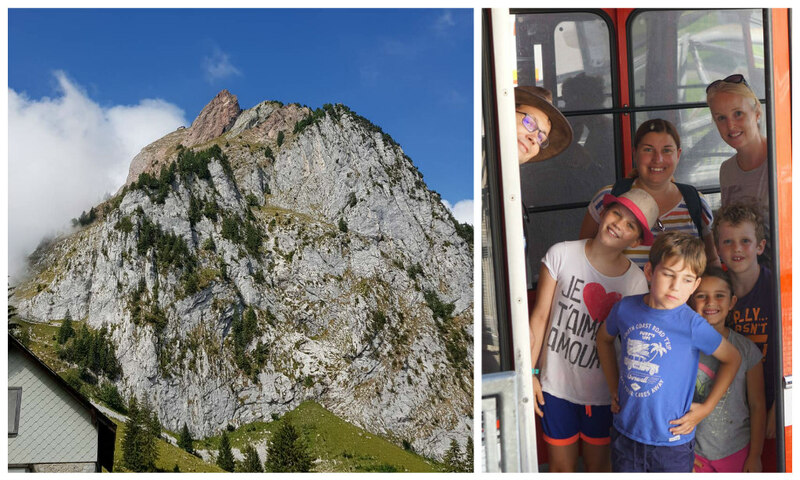 Our next stop was Lake Annecy in France, but we had one more excursion in Switzerland planned (well, right on the border). 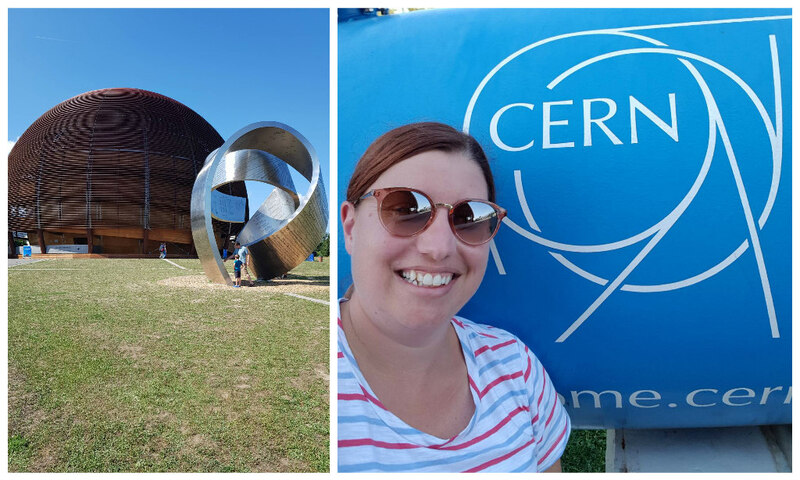 We stopped off at CERN to geek out for a couple of hours. 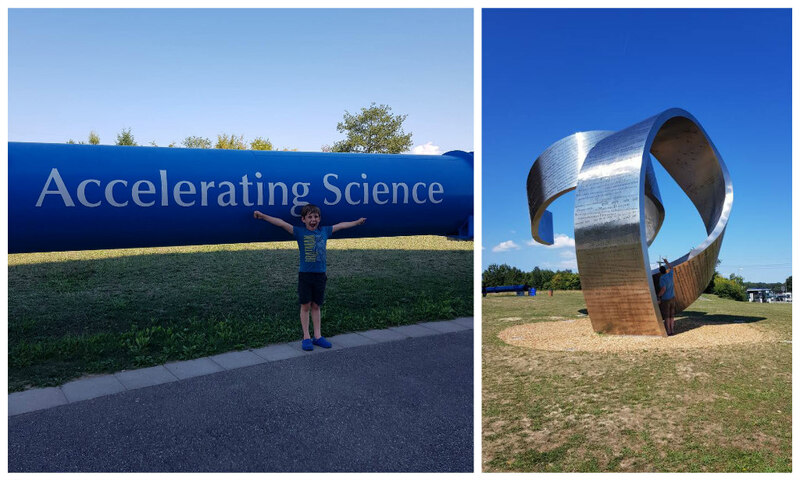 We really enjoyed the exhibits on display for the public all about the creation of CERN and the science going on there – and while some of it went over my head, it was accessible enough that I got the gist of most of it! It’s such an impressive undertaking! We particularly liked the sculpture outside the main visitor centre. Called ‘Wandering the Immeasurable’, it charts a chronology of scientists and discoveries from across the globe. I think Matt could’ve spent the rest of the day trying to read it all! But France beckoned and we had another tent to pitch before sunset. 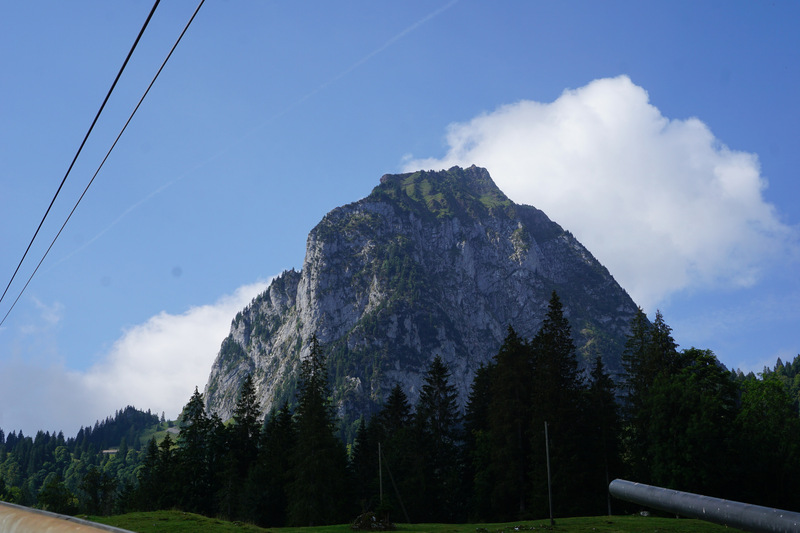 Next stop….Annecy. Looks like you all had a great time! Its a shame that your hike got clouded over but its always kind of a cool feeling to stand in the clouds. It looks like a beautiful spot to vacation!